The Motorola Razr HD Smartphone has arrived in the UK, after the splendid launch in the US. This device is based on the alternative design methodology by the Motorola, as we have seen it in their other devices as well. The look of the Razr HD is same like other Smartphone from the front side, but they have added some fascinating design cuts at the back. They have covered the whole of the Smartphone’s back with the Kevlar and wraps right-round to the aluminum that covers all the way around the edge. In short, it has an awesome design and all ingredients to become a premium Smartphone. The Motorola Razr HD is not bullet proof, the Kevlar rear cover unable to do this job. The blend of the aluminum frame with the gorilla glass is making this handset a hardy one. There is no need to run out to buy a new cover for sure. They have planned to introduce the Razr HD with the Android 4.1 Jelly Bean, it is the special offer for the UK citizen. The Motorola interface is more like the vanilla Android, the reason of this meddling is because it is owned by the Google. The Razr HD has its own style and the features. It is ready to amaze the fans with its 1GB Ram, 4.7 HD widescreen, 8Mp rear camera and 1.5Hz Duel Core Processor. However, its level of competency with the flagship devices of rival vendors is still questionable. Don’t get it wrong, this Smartphone has all the features to fall in love with. You will love its 720×1280 resolution; it is ready to show its performance even with the bright MWC light conditions. The only problem that might come across in its way is the number of different Smartphones already existing in the market and lots more are coming. The most of the experts consider the last year a better time of its launch in the UK, and then it could be a great success for sure. Now, it has a strong compilation with the HTC, Sony Xperia Z and upcoming Samsung Galaxy S4. 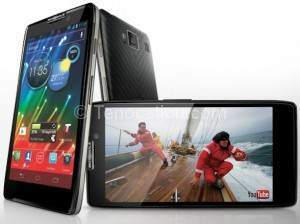 The fan of the Razor HD is expecting cheaper price as compared to the other rival devices. You can buy the device for £400 SIM-free; on the other hand the Google Nexus 4 is costing only the £239. Therefore, the market position of the Razr is unpredictable. The Razr HD is a step ahead by the Nexus 4 because it don’t have the 4G LTE built-in. But, when it comes to the HTC One SV, the Motorola handset looks faded. The Razr HD’s huge 2500mAh battery would be a great reason to buy it, and will work great with the dual core processor.